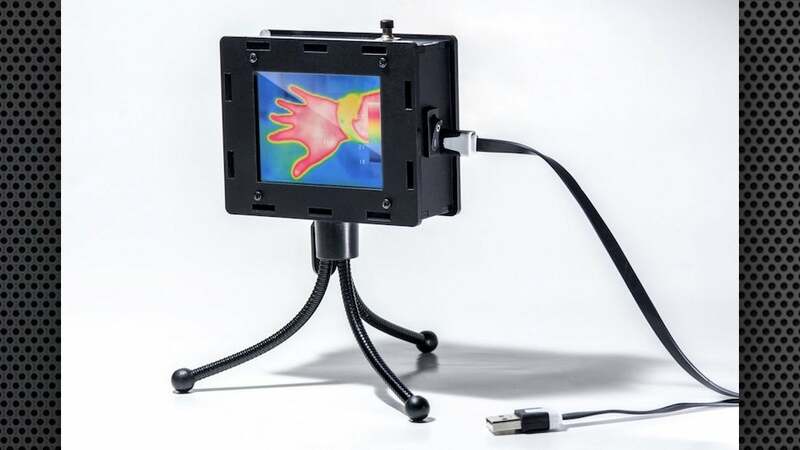 A thermal camera is a really useful device to have, especially for home improvement projects. You can see hot and cold spots where your home may be losing heat, is poorly insulated, or you're not getting airflow from the HVAC. Of course, it's also just a fun project, and you can build this one yourself. Max Ritter's DIY Thermocam comes in two flavours — you can buy a complete kit from him and build yours on your own, complete with his step by step instructions, or you can download his guide, source your own parts, and build your own from start to finish, then load up his firmware and source code. The code itself is open source, and relatively portable, so you can use it with different components. When you're finished, you'll get a camera that captures 60 x 80 pixel thermal images and uses an accompanying 640 x 480 pixel visible light camera (obviously not huge, but definitely enough) to generate a complete picture. It even has a viewscreen and a flexible tripod, and can be connected to your computer via USB. The kit isn't cheap, mind you — it will set you back about 429 Euro ($468 US ($673)) from his site, but if you prefer to build your own, he offers up the full parts list at the link below — you can also check out still images and videos taken with the camera over there too.